Sky Drug Testing Tracy CA serves the trucking industry through out the US. 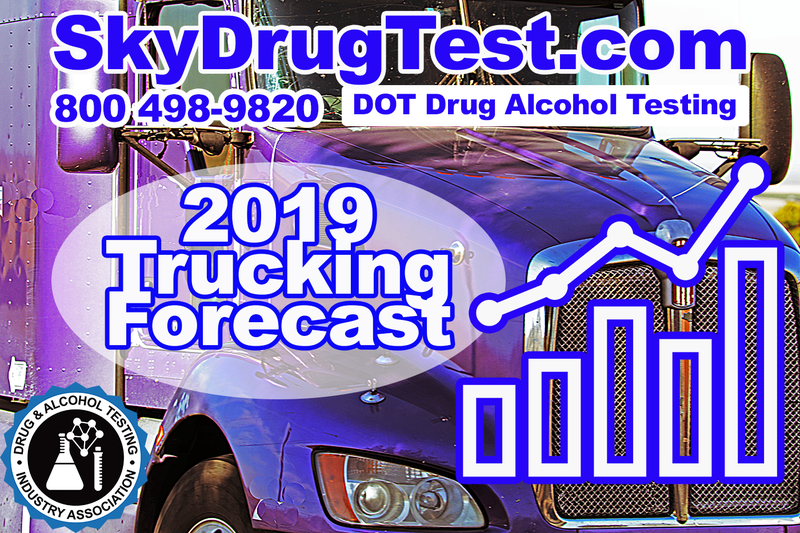 The staff at Sky Drug Testing and Sky Transport Solutions believes based on numerous facts that: 2019 will be a great year for the trucking industry. Lets look at some facts that help truck drivers get more freight. 1) Consumers are spending a lot more money. All these goods have to be delivered from containers to warehouses to stores. Retail represents freight haulers’ largest sector and there are signs that growth is accelerating here as well, according to representatives from the U.S. Chamber of Commerce, National Retail Federation and Consumer Technology Association. 2) The construction of residential and commercial building is still strong. All the raw materials are shipped via tractor trailers and flatbed trailers especially. Constriction economic booms are also good for heavy haul truckers. 3) The manufacturing industry is growing and demand will be strong into 2019. This includes the manufacturing of automobiles and steel manufacturing. Truck Diver Shortage in 2019. Another issue to consider is that the current pool of available drivers nearing retirement. However, there aren’t enough qualified truck drivers to take their places. The problem is that the millennials that are currently in the job market are not interested in truck driving. Because working long hours and being away from home for extended periods of time does not agree with millenials. Another factor is the competition to recruit truck drivers and maintain new truck drivers.